My husband is a Fire Fighter and got the cutest bag filled with goodies. The guys at the station absolutely loved it! They have a hard job with long hours and little things like this can really brighten up their day. 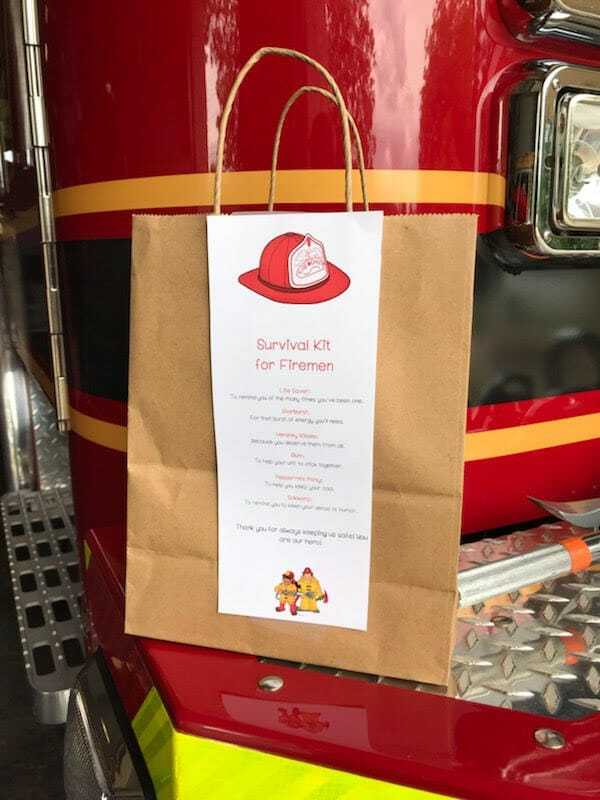 We created a Printable for you (below) to add to a paper bag and fill it with the goodies for the firemen. 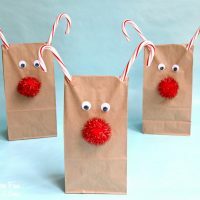 It’s such a nice way to show appreciation and the kids will love making this and dropping it off at the Fire station. 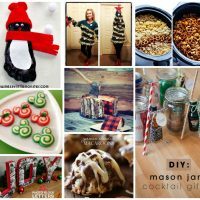 Fun Finds Friday with Christmas Treats, Crafts, & Fantastic ideas! 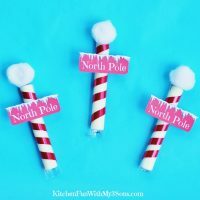 Christmas North Pole Cheese Stick Snacks with a Free Printable! Thanks for sharing very thoughtful.Do you have any ideas for police officers ? This is absolutely adorable! Thanks to all the firefighters for their service. I pray for their safety. I love this. Thank you for sharimg. 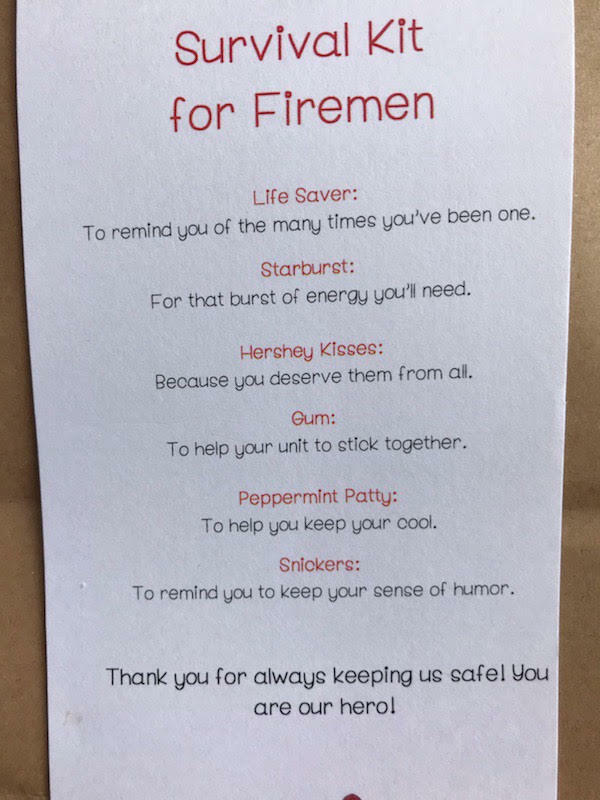 The firefighters visit our school every year and this would be an awesome little token of appreciation. I plan on doing this in the Fall! What a WONDERFUL idea ….. 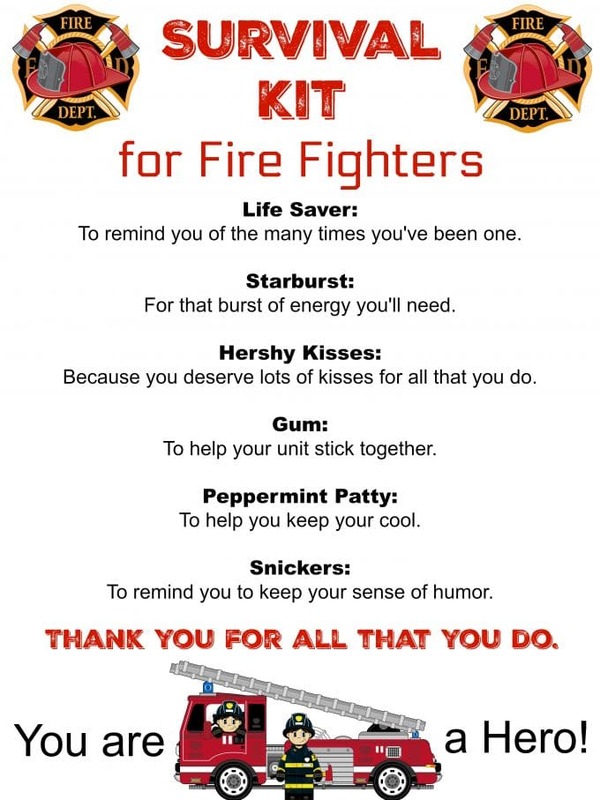 Awesome – thanks to all firefighterrs!